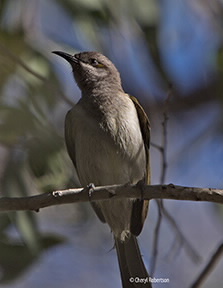 This honeyeater has a dull olive-brown body, with a darker face, underparts are buff-coloured to almost white, recognized by small wedge-shaped patch of yellow or white just behind the eye. Legs and feet brown, eyes dark brown, bill black. 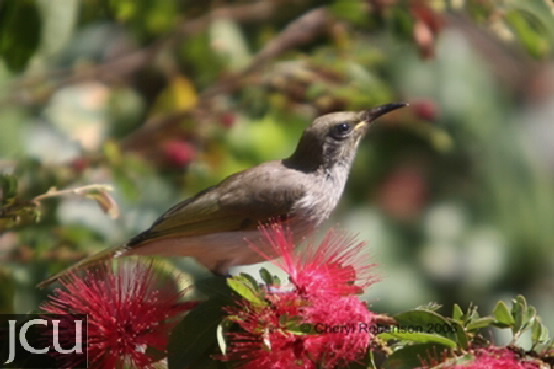 Common in garden areas. The plant is Callinadra.